The World Health Organization declared dementia a global health crisis. The Alzheimer’s Association is combating Alzheimer’s disease (AD) and refers to AD as a public health agenda. And UsAgainstAlzheimer’s predicts Alzheimer’s can be stopped by 2020. The International Caregivers Association’s (ICA) mission is to change the course of dementia care. In an effort to continue bringing its members and the research community breakthrough dementia-care solutions, the ICA is proud to announce it has the greatest breakthrough of the century. Earlier this year, in a small study, seven participants achieved recover of a number of their dementia symptoms. Achieving dementia recovery is not only changing the course of dementia care for these individuals, it is in fact changing their lives and their level of care, and improving their cognitive and physical abilities. The Good Shepherd Healing System, or GSHS, is a newly discovered form of energy medicine. 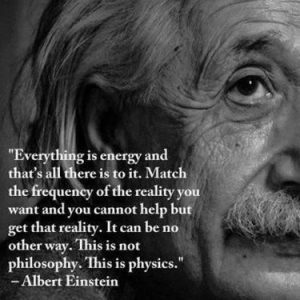 Energy refers to anything that vibrates. 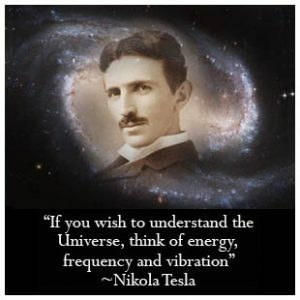 Every vibration has a frequency. The GSHS treatment is delivered by a GSHS practitioner to a specific body system and to areas affected by illness or a condition. Dr. Joseph Mercola, DO, is the first authority on the use of energy medicine to identify and treat health problems and disease. Together with Dr. Dietrich Klinghardt, PhD, his mentor and an authority on energy medicine, he developed the Meridian Tapping Technique and Autonomic Response Testing. Dr. Lord had firsthand experience with her husband’s recovery from dementia. In 2015, her husband, Major Larry S. Potter, Retired USAF, was in the late stages of his dementia. Today his dementia is contained and he has regained many of his cognitive and physical abilities. The GSHS is a biofeedback form of energy medicine in which the practitioner uses changes in muscle tone as the primary indicator of its effect. Having received a diagnosis of vascular dementia (VaD) in January of 2003, Major Potter was no longer able to speak, keep his eyes open, feed himself, or care for himself in any way. He is suddenly able to appropriately speak again; keeps his eyes open; focuses on people, objects, and movement around him; feeds himself finger foods; and has regained his ability to concentrate on a recorded book. His quality of life today is remarkable when compared to before the GSHS treatment. The GSHS follows guidance the practitioner receives from the individual desiring healing. The treatment involves several systems in the body such as the circulatory system, the cerebral spinal fluid, and the central nervous system, to name a few. Dr. Lord is usually able to uncover causes of sickness in order to promote optimal health for those living with dementia. Sometimes the healing is instant, such as in the case of cellular confusion, which mimics true dementia. People with cellular confusion may regain many of their cognitive and physical abilities rather quickly to the point that when cognitively retested in their doctor’s office, there is no evidence of cognitive decline. In the case of true dementia, containment of the dementia and subsequent recovery from many of their cognitive and physical abilities becomes obvious to their care providers; some reach optimal health well after their initial GSHS healing treatment. Step 1: Misunderstandings within bodily systems result in a state of cellular confusion or true dementia. Step 2. The brain responds to stressors and trauma caused by life events, poor diet and habits, and/or excessive intake of prescribed medications over time. Step 3: The GSHS practitioner uncovers areas affected by stressors, trauma, and organisms (substances, psychological issues, chemical imbalances). Step 4: Systems and organs are tested using the GSHS method. The GSHS practitioner neutralizes, cancels, resolves, and eliminates any issues. Step 5: Systems and organs can return to optimal functioning, and people receiving GSHS treatment often attain up to 99 percent of their potential functioning. Step 6: The Remembering 4 You Training Institute will begin virtual GSHS training in October 2018. Anyone that is interested must send a request for application; set up a personal interview via SKYPE or FACETIME with Dr. Lord; and pay a tuition, get the required reading, and attend two weekends of training. For more information, kindly email Dr. Lord. GSHS treatments are most often done from a distance while you enjoy the comfort of your home or office, and without the need to displace the person receiving them. The GSHS practitioner follows an established technique to deliver energy to a specific body system or organ in order to direct healing. The actual healing is not done by the practitioner but by the body’s own systems. The practitioner only directs the healing once the problem area has been identified – which is often confirmed by the person seeking this form of healing. The body does the rest.